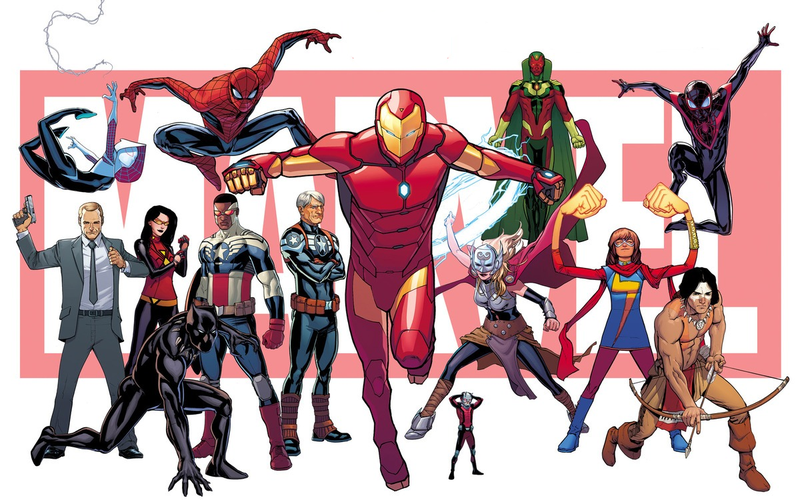 We’ve already had some teasers about what’s to come for Marvel Comics after its Secret Wars event, but now we have the full details: The Marvel Comics Universe is getting a major shakeup this September, with new characters, new series, and big changes for some long-running heroes. The announcement, unveiled through Mashable and USA Today, reveals that after Secret Wars, every Marvel series launching in September will once again begin from Issue 1, and although reports call it a reboot, Marvel’s continuity will remain intact — although more specifically what’s left of it after Secret Wars is over. There’ll also be several new standalone series for characters like the Vision (a first for the character), Black Panther and the returning Native American hero Red Wolf, who is due to appear in the upcoming 1872 spinoff miniseries making its debut as part of Secret Wars. It’s not just new series that are beginning though — capitalising on their major shakeups for legacy characters like Thor and Captain America, Marvel will also be bringing major changes to other characters. A new Spider-Man will enter the fray alongside Peter Parker (and presumably different from both Miles Morales’ Ultimate Spider-Man and the Gwen Stacy Spider-Woman, who, judging by the promo picture above, will be joining the main Marvel Universe), and two other replacements include a new Hulk, and the return of Wolverine — if you’ve not been reading along, he’s been dead for a few months — under a new identity. The Free Comic Book Day special Marvel released also hinted at the possibility of a new character donning the Iron Man armor as well, so it’s safe to say that there might be many more changes planned that we don’t know of yet. You’re going to be looking at, in certain cases, new characters inhabiting those roles, and new characters dealing with profound changes in the relationships with others around them and where they live. We’ve challenged everybody to come up with the right ‘Oh (expletive)’ reveal for their character to shake it up and make it interesting. It’s certainly one of the most extensive shakeups in Marvel’s history. Given the positive reactions to the new Thor and Captain America, Marvel probably expects that it’ll be a popular one, too. It’s also interesting to see how much of an influence the movies will have on some of these changes too — especially as the majority of the characters featured in this “All-New, All-Different” promo picture have some ties to what’s going on with Marvel on the big screen too. We’ll find out in September. Excited?